On Sale. Free Shipping. The North Face Men's Wreck GTX Boot FEATURES of The North Face Men's Wreck GTX Boot Upper: Waterproof nubuck and split suede upper Rubber toe cap and lateral mudguard for durability and protection Gore-Tex Extended Comfort Range waterproof, breathable membrane Mesh collar and tongue Welded TPU overlays on quarters for structure Northotic Pro 2.0 footbed Bottom: Dual-density, compression-molded EVA midsole with Cradle technology PU bottom-layer midsole provides durability, rebound and cushioning ESS forefoot protection pad Exclusive Vibram rubber outsole SPECIFICATIONS of The North Face Men's Wreck GTX Boot Last: TNF-001N Approx Weight: 1/2 pair: 1 lb 1 oz / 485 g, pair: 2 lbs 2 oz / 970 g This product can only be shipped within the United States. Please don't hate us. 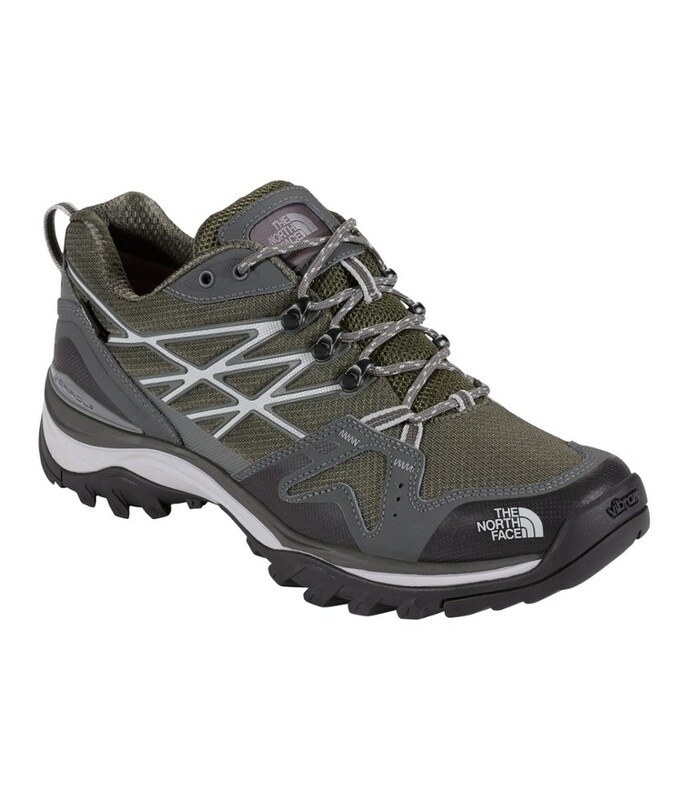 Whether you're navigating loose scree fields on the way to the crag or just cruising up the canyon to walk the dogs, lace up The North Face Men's Wreck GTX Hiking Shoe for a secure grip and all-day comfort. 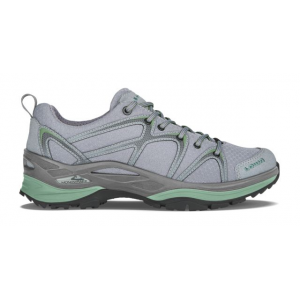 The Gore-Tex membrane keeps your feet dry as you march through dew-soaked meadows and the innovative Cradle Technology in the midsole works to enhance your natural stride while providing ample cushioning and support for the long haul. 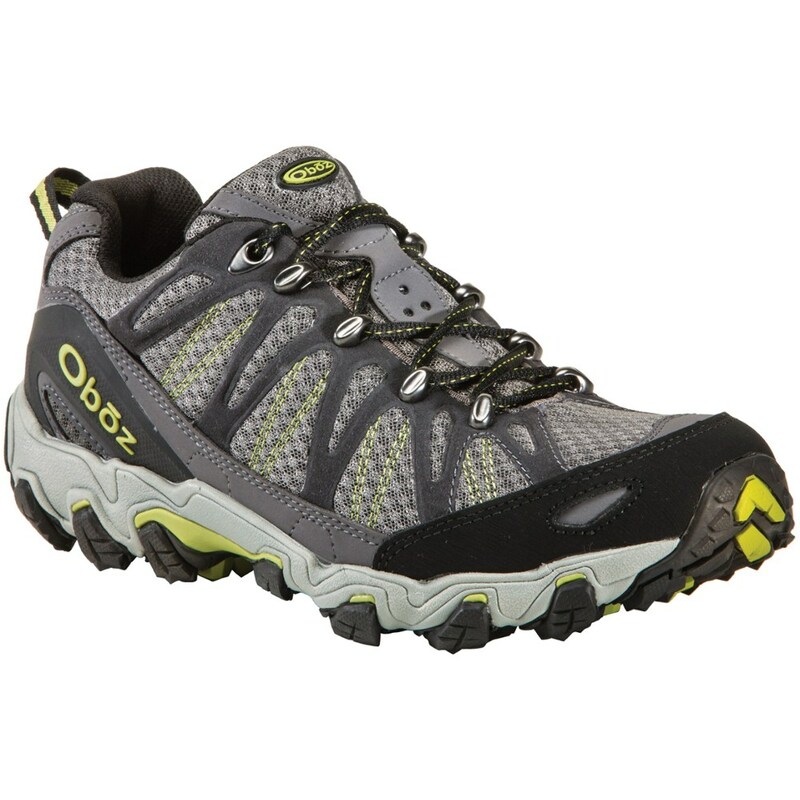 Discover this lightweight, waterproof hiking shoe's supportive CRADLE construction with each step across rugged terrain. Dual-density EVA midsole features supportive CRADLE technology to guide the heel into position and encourage proper alignment throughout the stride. Supportive TPU shank cushions the heel and forefoot as they bear the load of a large pack. GORE-TEX membrane creates a waterproof, yet breathable lining to keep your feet dry as you hike along riverbeds or through dewy, tall grass. 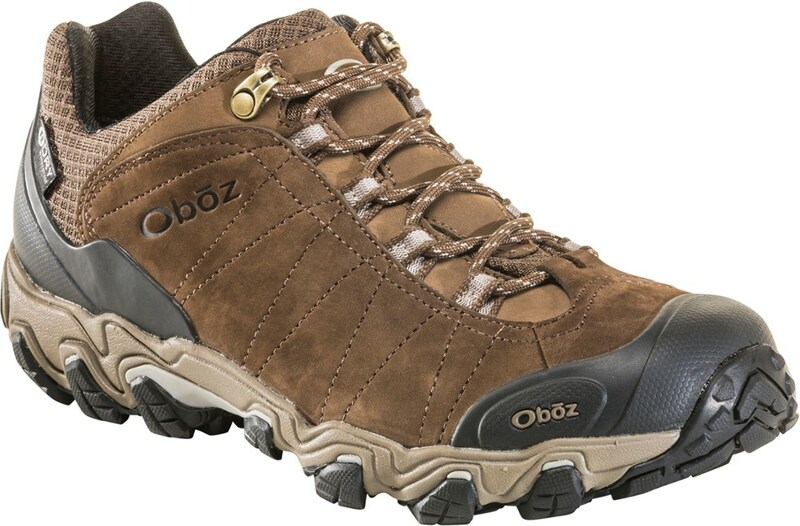 Waterproof nubuck and suede is protected from trail debris by a rubber top cap and mudguard. Grippy Vibram rubber sole gains traction for secure footing on wet or dry surfaces. 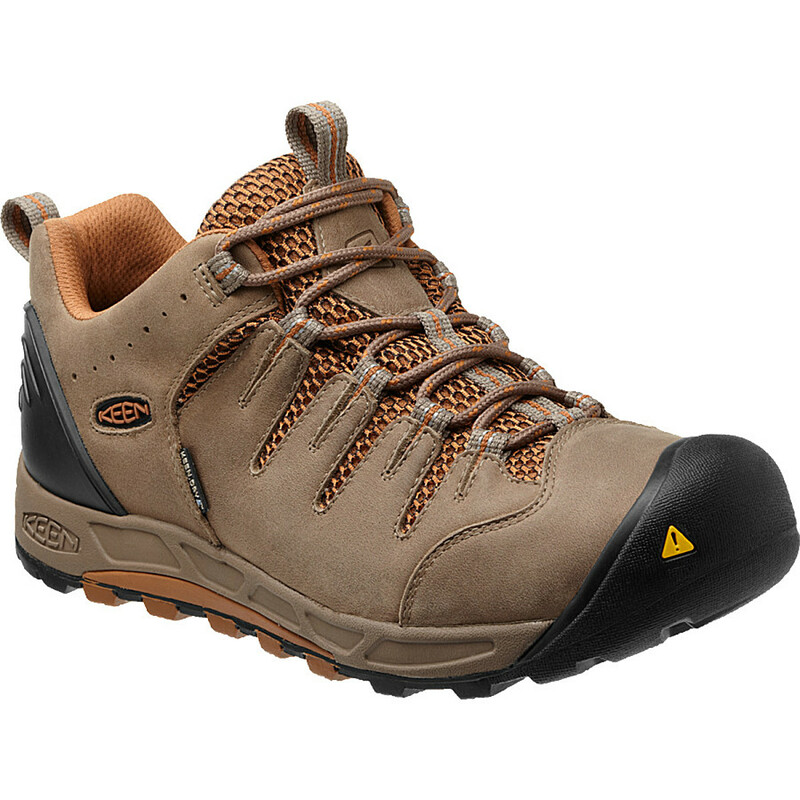 A lightweight, rugged, waterproof hiking shoe designed with CRADLE(TM) technology and a durable Vibram(R) outsole to deliver comfort, stability and traction for all-day hiking in any weather. UPPER/ Waterproof nubuck and split suede upper. Rubber toe cap and lateral mudguard for durability and protection. 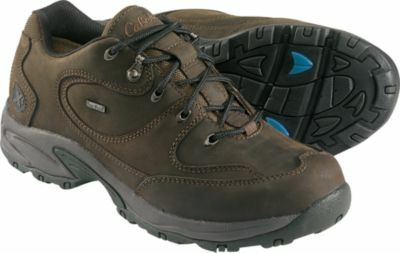 GORE-TEX(R) Extended Comfort Range waterproof, breathable membrane. Mesh collar and tongue. Welded-TPU overlays on quarters for structure. Northotic(TM) 2.0 footbed. BOTTOM/ Dual-density, compression-molded EVA midsole with CRADLE(TM) technology. PU bottom-layer midsole provides durability, rebound and cushioning. ESS forefoot protection pad. Exclusive Vibram(R) rubber outsole. Weight per 1/2 pair: 1 lb 1 oz (485 g). Weight per pair: 2 lbs 2 oz (970 g). * weight based on Men's 9. 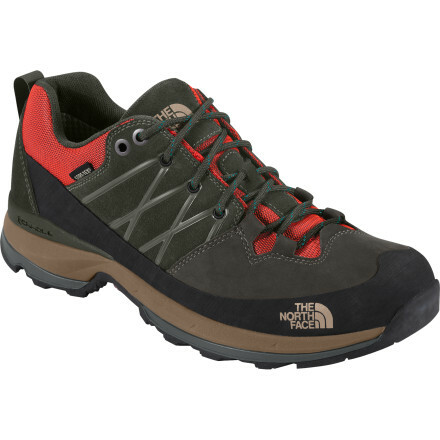 Rugged and waterproof, The North Face Wreck GTX hiking shoes offer stability and traction for hikes in any weather. Waterproof nubuck and split suede leather uppers feature welded thermoplastic urethane overlays for lightweight support and flexiblity; rubber rand for protection. Waterproof Gore-Tex(R) XCR(R) membranes keep wet weather at bay-and they're highly breathable to ensure comfort. CRADLE(TM) technology absorbs impact, stabilizes foot and encourages an anatomically correct stride. Removable EVA footbeds feature forefoot and heel cushioning and built-up heels for enhanced support. Dual-density EVA and polyurethane midsoles deliver all-day cushioning and shock absorption. The North Face Wreck GTX hiking shoes feature aggressive Vibram(R) rubber outsoles to supply dependable traction on uneven terrain. The North Face Wreck GTX is not available from the stores we monitor. It was last seen July 1, 2015	at Moosejaw.